Your kids may still be off at summer camp, and the weather outside sure doesn't feel like kids will be going back to school anytime soon, but the first day of school will be here before you know it. Typically, that means you've got a list of stuff to buy from teacher-required art supplies to a new lunchbox and sneakers. Get a jump on your back to school shopping with our helpful guide. We found eco-friendly products that will keep your kid and the planet healthy and safe. Just like the back to school basics we had when we were in school, but a lot kinder to the earth! Buffalo Natur’s bamboo ruler is equally as handy as a wooden or plastic one when your child needs to measure or draw a straight line, but it’s made of fast-growing bamboo. EcoJot’s adorable notebooks, adorned with your child’s favorite animals, are made of recycled paper and the proceeds very fittingly go to the Jane Goodall Institute. Last but not least, you can’t send your kid back to school without pencils, so why not choose these colorful ones made of 85% post-consumer recycled newspapers? They might be #2 but they’ll help him be #1 in his class. Sending your kid to school with a waste-free lunch not only helps you cut down on the amount of garbage thrown away, it also allows you to buy foods in bulk rather than single serving items packaged in plastic that are more expensive to boot. Kids Konserve makes packing a waste-free lunch stress free. The Whimsy Reusable Lunch Kit, available in pink or navy, includes a cloth napkin, two leak-proof stainless steel containers, a food cozie, and a recycled cotton lunch sack to tote it all. You’ll love that all the components can be washed in either the dishwasher or washing machine. Plus, you’ll no longer need to stock up on aluminum foil, plastic wrap or plastic baggies and you’ll feel better knowing you’re packing your kids’ food in safe BPA-, lead-, and phthalate-free containers. Kids always need glue for art projects and most traditional formulas are simply mixtures of chemicals. Clementine Art Natural Glue on the other hand is made from natural ingredients and contains no chemical dyes or other additives. We also love that it sticks on a variety of surfaces beyond paper including wood and fabric. Markers are another art supply must-have for most classrooms. Send your kid to school with Clementine Art Natural Markers to ensure he’s creating safely. This set includes four markers that get their vibrant hues from plant and mineral pigments. Like all of Clementine Art’s natural art supplies, these markers are free of chemical dyes and other additives, and they come in recycled packaging that’s made with wind energy. Getting kids moving is becoming just as important as the education students receive sitting in the classroom. Fair World Sports Team Soccer Ball makes practice greener and has a great story to go along with it. The eco-friendly balls are made from polyurethane, which lacks environmentally-harmful ingredients like chlorine that many balls contain. Even better, they last much longer so fewer balls need to be produced. For these reasons, they’re now becoming a popular replacement for PVC-covered balls. What’s more, the Fair Trade soccer balls also give back — they’re produced in Pakistan by workers who receive a fair wage, Fair World Sports pays a 20 percent premium on the balls to contribute to benefits for workers and community healthcare, and all profits go to fund peace building projects in Sierra Leone. Perfect for kindergarteners on up this lightweight 100 percent cotton knapsack from Dsenyo won’t be too heavy on kids’ backs. The single strap design means kids can wear it over one shoulder or across the body offering versatile ways to distribute the weight of the load. We also love how the bright colors of the African wax-print textile set this bag apart from the traditional solid-colored pack. Dsenyo prides themselves on creating jobs in southern Africa for the women artisans who handcraft the bags, plus they donate 3 percent of their revenue to community development projects there, which has helped to fund libraries, girls soccer programs and youth AIDS education. I wish they had those notebooks when I was a kid. 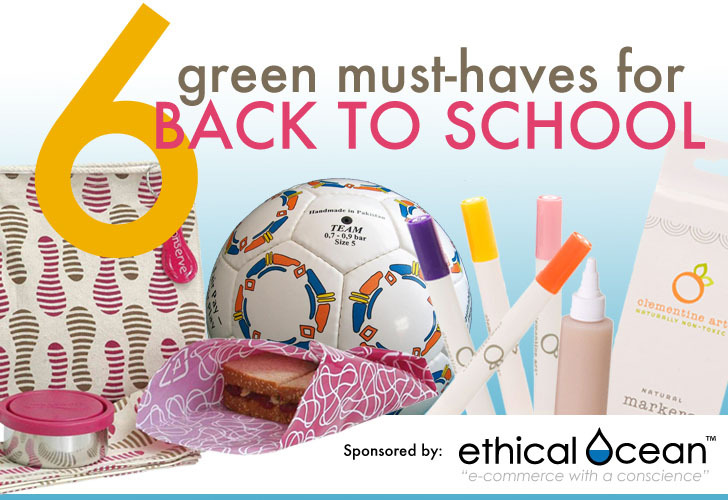 These are such great resources for back to school green. Any kid would be super hip with that backpack slung over their shoulder on the first day of school. These are all fantastic ideas - but not really accessible to your average school student, especially those from poor urban and rural school districts. $46 for a reusable lunch kit? $14 glue? If we are going to encourage our nations families with children to "get it and go green" we have to develop green products that a cost-wise as well. Saving the planet needs to be partnered with saving saving "the green" - cash! Whimsy Reusable Lunch Kit, $45.83 Sending your kid to school with a waste-free lunch not only helps you cut down on the amount of garbage thrown away, it also allows you to buy foods in bulk rather than single serving items packaged in plastic that are more expensive to boot. Kids Konserve makes packing a waste-free lunch stress free. 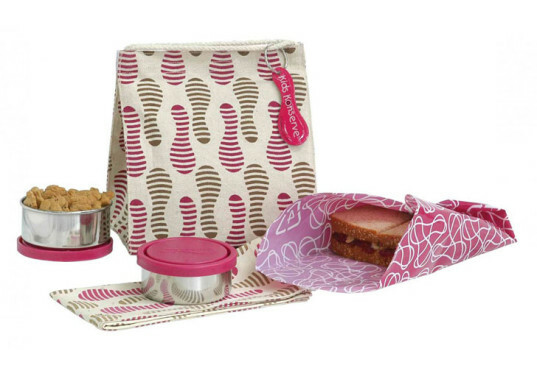 The Whimsy Reusable Lunch Kit, available in pink or navy, includes a cloth napkin, two leak-proof stainless steel containers, a food cozie, and a recycled cotton lunch sack to tote it all. You'll love that all the components can be washed in either the dishwasher or washing machine. Plus, you'll no longer need to stock up on aluminum foil, plastic wrap or plastic baggies and you'll feel better knowing you're packing your kids' food in safe BPA-, lead-, and phthalate-free containers. 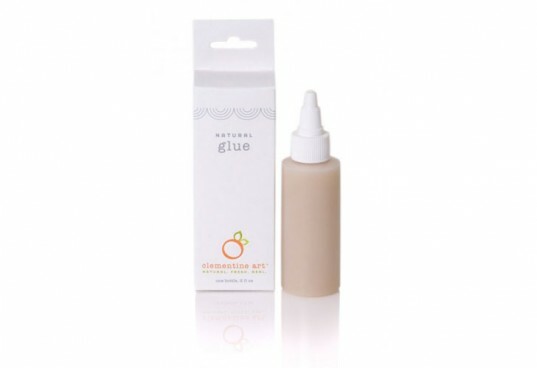 Clementine Art Natural Glue, $13.23 Kids always need glue for art projects and most traditional formulas are simply mixtures of chemicals. Clementine Art Natural Glue on the other hand is made from natural ingredients and contains no chemical dyes or other additives. We also love that it sticks on a variety of surfaces beyond paper including wood and fabric. Clementine Art Natural Markers, $8.14 Markers are another art supply must-have for most classrooms. 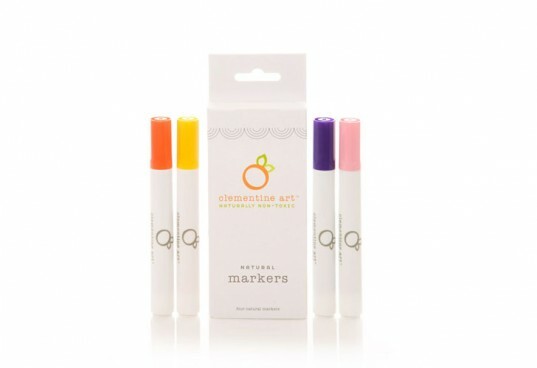 Send your kid to school with Clementine Art Natural Markers to ensure he's creating safely. This set includes four markers that get their vibrant hues from plant and mineral pigments. Like all of Clementine Art's natural art supplies, these markers are free of chemical dyes and other additives, and they come in recycled packaging that's made with wind energy. Fair World Sports Team Soccer Ball $23.43 Getting kids moving is becoming just as important as the education students receive sitting in the classroom. Fair World Sports Team Soccer Ball makes practice greener and has a great story to go along with it. The eco-friendly balls are made from polyurethane, which lacks environmentally-harmful ingredients like chlorine that many balls contain. Even better, they last much longer so fewer balls need to be produced. For these reasons, they're now becoming a popular replacement for PVC-covered balls. 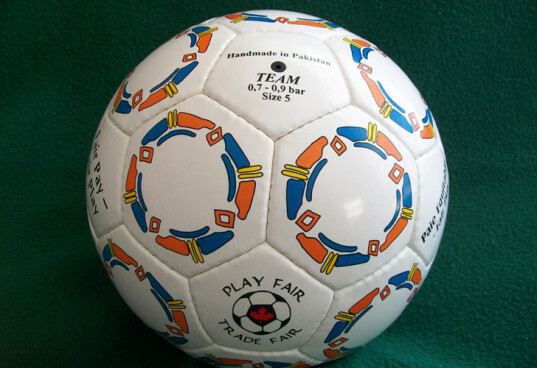 What's more, the Fair Trade soccer balls also give back -- they're produced in Pakistan by workers who receive a fair wage, Fair World Sports pays a 20 percent premium on the balls to contribute to benefits for workers and community healthcare, and all profits go to fund peace building projects in Sierra Leone. Dsenyo Kids' Knapsack in Fall Radience, $24.00 Perfect for kindergarteners on up this lightweight 100 percent cotton knapsack from Dsenyo won't be too heavy on kids' backs. The single strap design means kids can wear it over one shoulder or across the body offering versatile ways to distribute the weight of the load. We also love how the bright colors of the African wax-print textile set this bag apart from the traditional solid-colored pack. 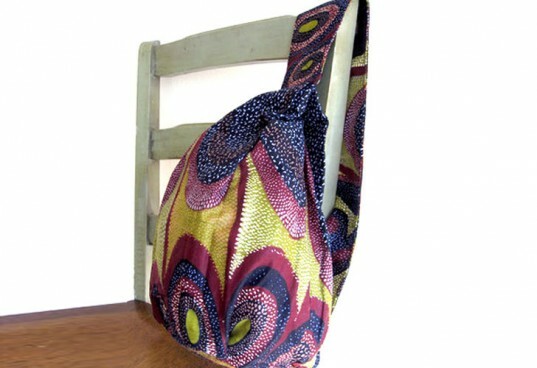 Dsenyo prides themselves on creating jobs in southern Africa for the women artisans who handcraft the bags, plus they donate 3 percent of their revenue to community development projects there, which has helped to fund libraries, girls soccer programs and youth AIDS education. Just like the back to school basics we had when we were in school, but a lot kinder to the earth! 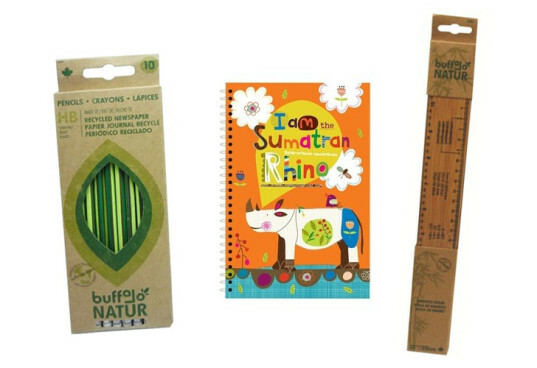 Buffalo Natur's bamboo ruler is just as handy as a wooden or plastic one when your child needs to measure something for homework or draw a line but it's made of fast-growing bamboo. These adorable notebooks adorned with your child's favorite animals are made of recycled paper and the proceeds very fittingly go to the Jane Goodall Institute. Last but not least, you can't send your kid back to school without pencils, so why not choose these colorful ones made of 85% post-consumer recycled newspapers? They might be #2 but they'll help him or her be #1 in their class.